Email Hoax or Stress Test? 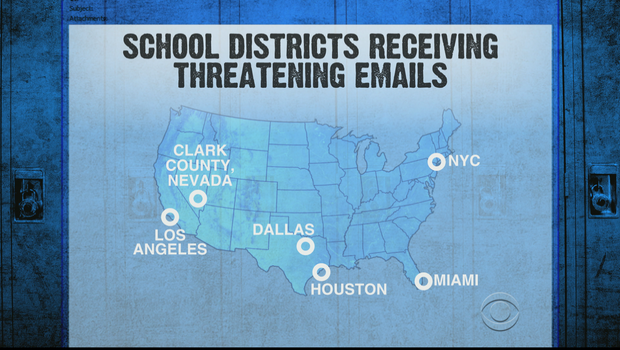 The recent series of threats received via email targeting some of America’s largest school districts has now been classified by authorities as a hoax. Officials claim the flow of these threatening emails came from a server in Germany run by a 21 year old American man, formerly of Maine. Parents, teachers and students in Los Angeles, New York City, Miami, Las Vegas, Dallas and Houston can all relax, it was only a hoax of no credible threat. But is there more to this? Could it be part of terror stress test designed to collect valuable response intelligence from a select group of US schools? At this point, we can not say with complete certainty one way or another. We now know our nation’s second largest public school system, LA Unified School District choose to close schools impacting roughly 640,000 students. Conversely, America’s largest educational body, New York City Schools, with more than an enrollment over 1 million, determined the threat a hoax early on and did not evacuate its campuses. Other threatened school districts also choose not to shut down although Nashua, New Hampshire elected not to open. While all of us want to believe that there is nothing more to these events than a sick prank, we are confronted with the uncomfortable reality that much more may be in play. Schools have always been soft targets and more than ever before, school leaders are required to deal with the unthinkable threat of terrorism in American schools. A hoax or stress test?